If you're having issues downloading the kiosk app, please keep in mind these troubleshooting tips below. Download the app or if you have downloaded the app, open it to install it. 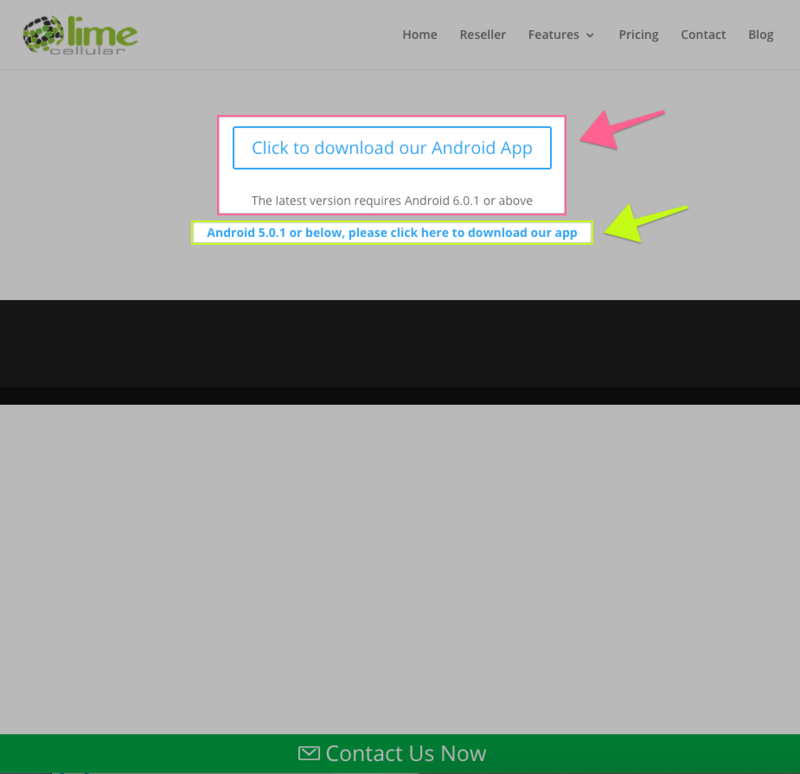 If you're in http://www.limecellular.com/app/ and tapping the "Click to download our Android App" button but it isn't working when you're trying to download the app, softly press on the button for about 2 to 3 seconds. This will show you different options. You can check which Android version your tablet is running by checking the packaging of the tablet or by going to the tablet settings and tapping on "About Tablet" or a similar option. Note: If everything else fails, reset the tablet to factory settings and try again downloading the app again.